HAPPY VESAK DAY !!! Finally another public holiday, LONG WEEKEND!!! It has been a really busy week for me but I’m glad I survived!! I plan to do NOTHING this weekend because I seriously need some rest!! Today I’m gonna show you what my mom received for her (belated) Mother’s Day gift!! Yes, I know….. that’s like 2 weeks ago BUT it’s never too late to share good things!! And you won’t regret reading this post! Trust me! Well, we didn’t really celebrate Mother’s Day this year but had bought her a lil gift (the gift is belated present too) instead! Something she had been eyeing for ever since I showed her the image! Nice right!!? This is Nautilus from THE ONYXE! My mom love it almost instantly! 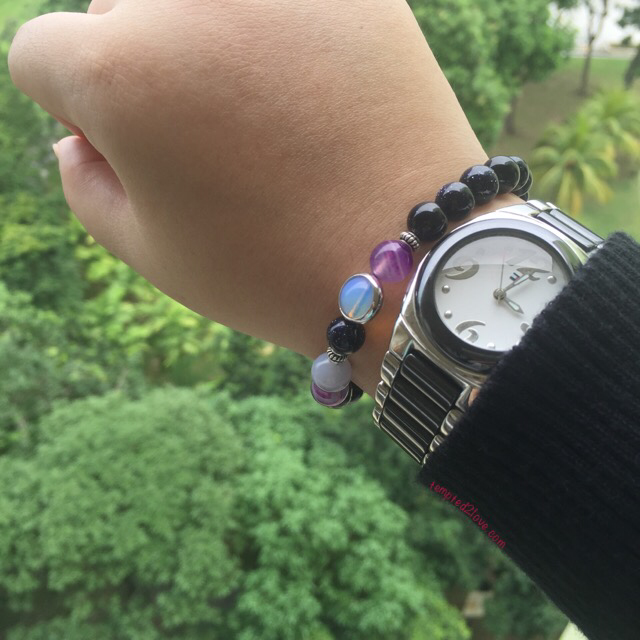 Well, purple is her favourite (but not eggplant) and this bracelet is not just a simple accessories you wear to look good.. Read on to find on why…. 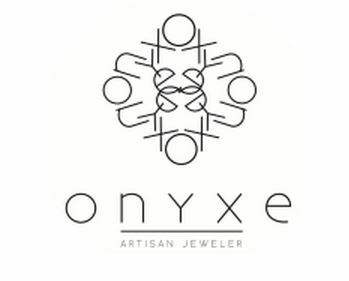 THE ONYXE is founded in 2015, striving with the aim of providing their customers with a luxurious addition to their wardrobe, yet remaining affordable. Started out as a hobby, Lenix Shane Neo, a chemical engineer turned designer, became a full-time passion of crafting artisan bracelets for men and women alike, providing only the best design elements for the customers looking for a healthy lifestyle and something to accentuate be it their collectible time pieces or branded luxuries. Troubled with recurring migraine issues since a young age, he came across natural stones which were recommended as a solution to improve his condition, and indeed, it was effective. However, the flipside to it was that it looked too much like religious edifices which would trigger code red on the fashion police radar, which is not exactly the best accessory to wear at all times. Traditionally in crystal healing opal has been considered good for headaches, eyesight, Parkinson’s disease, blood, insulin regulation, PMS, and the immune system. 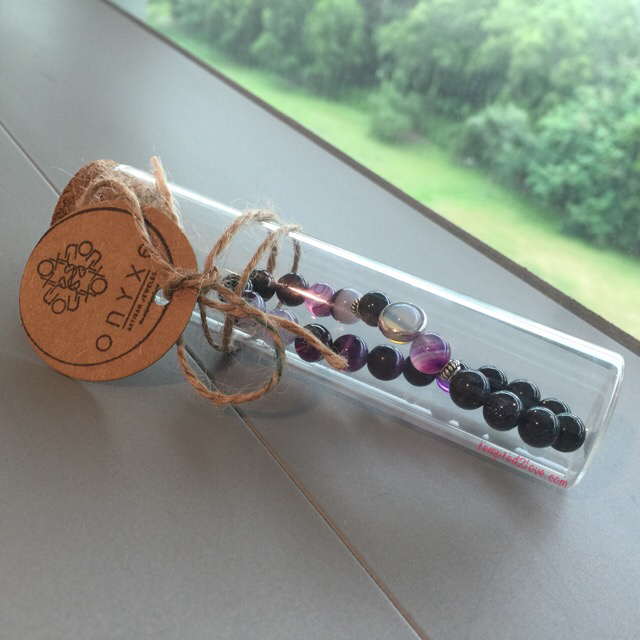 Note that healing crystal meanings are spiritual supports to healing and are not prescriptions or healthcare information. 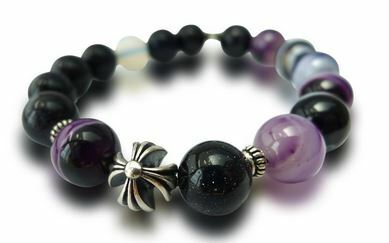 If purple is not your cuppa tea, they have many other design for you to choose too! There will be new creations & limited editions at times hence following them on FACEBOOK and INSTAGRAM definitely gives you the latest updates!!! THE OYNXE have couple collection and they look totally cool! Now who says couple can only have couple ring??! I think these bracelets are good options too!! To be able to love is a gift. To be able to gift is a privilege. Show how privileged it is for you to be able to love with a gift for the both of you. Show others how lucky you are to have and to hold, in sickness and in health, for rich and for poor. For partners don’t have to be segregated by religion, status nor gender. 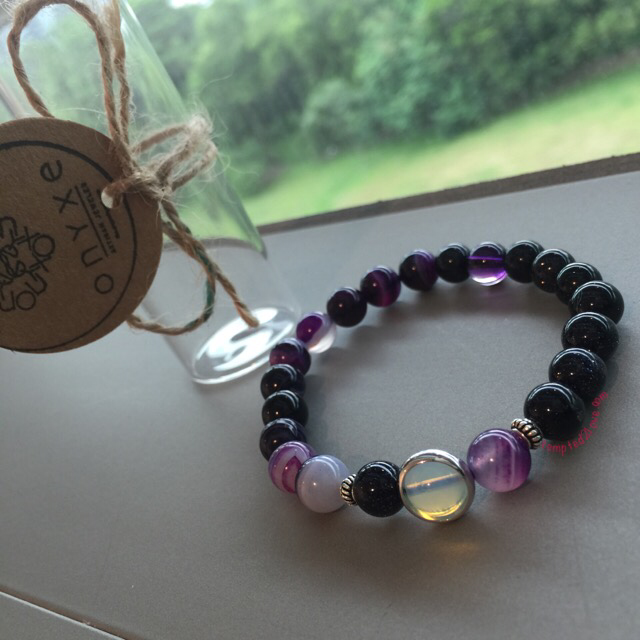 If you have something in mind that is not found in THE ONYXE collection, GOOD NEWS!! THE ONYXE can do CUSTOMIZATION!! Aren’t you proud of wearing the world’s one and only design!?? 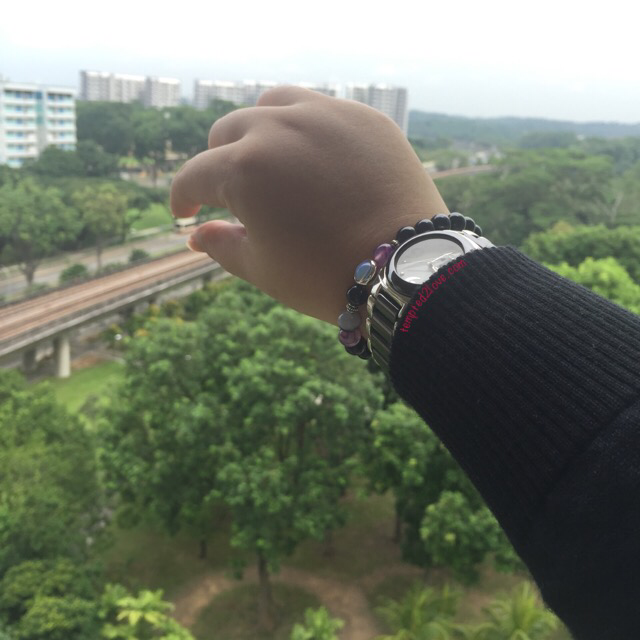 Confirm plus chop nobody have the same bracelet as you! Uniquely yours! 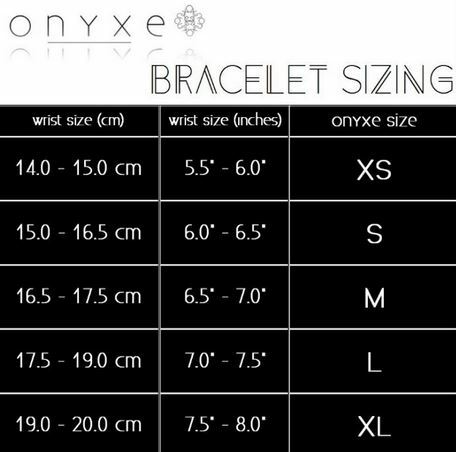 THE ONYXE provide size chart for your easy reference so that you will know your size..! But the thing about buying the RIGHT size online is always tricky! You can’t try it or even visualise if it fits you.. SAD right!? Enough of intro, now let me show you the “purple” one which I finally got for my mom! Oh by the way, this is not exactly Nautilus.. I customized it slightly to my mom’s liking and great thanks to THE ONYXE for accommodating my requests!! Such nice packaging right!!!!? Who would have thought of using such tubes as packaging!? Innovative!! Have you notice the difference between my (mom) bracelet & Nautilus?? Well, IF YOU HAVEN’T, LOOK AGAIN!! The center piece charm had been changed to Opal and there’s a ring charm around it! 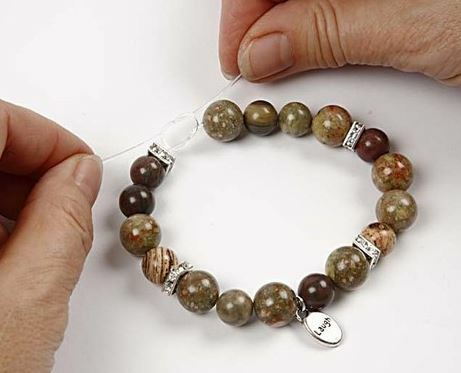 Not only that, the lil silver bead at the “back” of the bracelet is replaced by another sandstone too.. Wait wait.. that’s not all!! 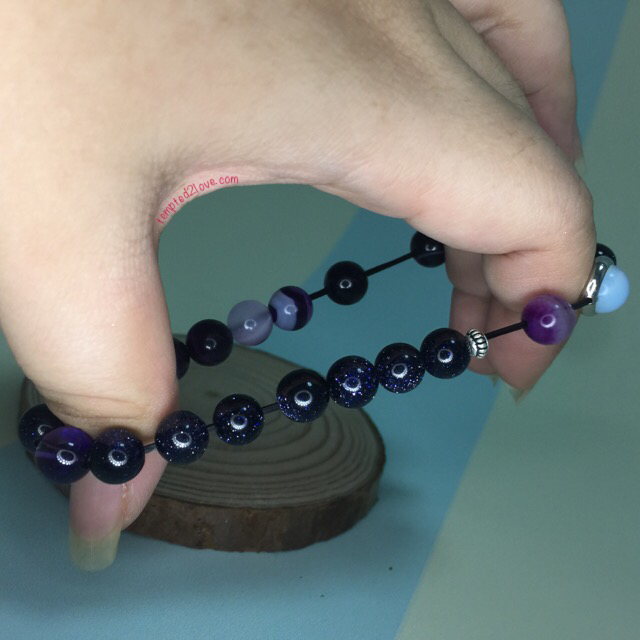 One more thing you definitely can’t tell, this bracelet is 8mm instead of 10mm!! 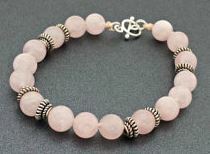 Don’t you think this whole bracelet looks more feminine now?? I’m totally mesmerized by this new creation! Without the knot/hook, it doesn’t really matter which side I should adjust because it’s BEAUTIFUL no matter which side I’m looking at!! Do you get what I’m trying to say!??? In case you’re wondering, my chubby hand is wearing a size S bracelet (if I’m not wrong).. My mom’s wrist is 16cm and usually THE ONYXE will cater some allowance for better comfort. So this allowance actually kinda fit me!! I’m finally a SIZE S after so many donkey years!!! LOL!! Well, I hope above images are enough for your viewing pleasure.. After reading such long post and looking at so many beautiful bracelet, don’t you wish to grab one or two for yourself, your BFF or even your partner?? 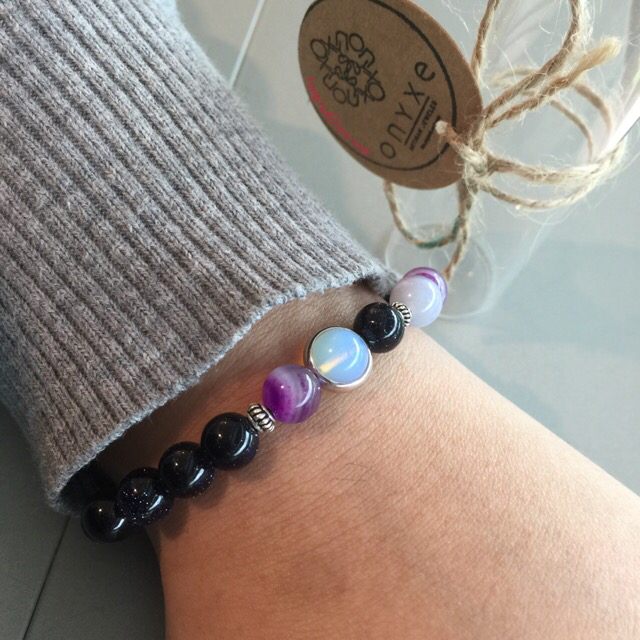 A unique bracelet that not only looks good but makes us feel good too! NOW IS YOUR CHANCE!!! BEST TIME EVER!! THE ONYXE is giving tempted2love.com readers a 15% OFF STOREWIDE!! To enjoy this AWESOME DISCOUNT, just enter “ONYXETEMPTED2LOVE” during checkout and TA-DAAAA (!!!) , 15% OFF right away!! STOREWIDE leh!! What are you waiting for??? 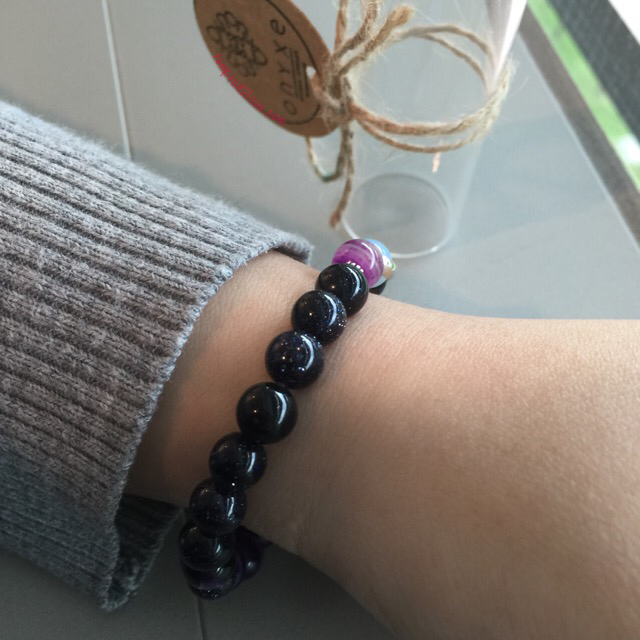 This entry was posted in .Care for Body, .eCommerce, THE ONYXE and tagged Agate, bracelet, Natural stones, Opal, Promo code, Sandstone by Tempted to Love. Bookmark the permalink.